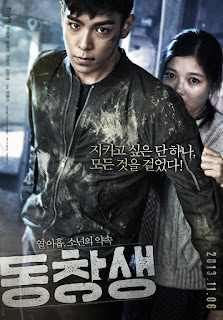 Cast: Choi Seung Hyun (TOP), Han Ye Ri, Kim Yoo Jung, Yoon Je Moon and Jo Sung Ha. Living in North Korea as a wealthy son Ri Myung Hoon (TOP) had the dream of becoming a pianist, and hasn’t had a single harsh day of his life. Everything changes when his father is labeled a traitor after a spy mission in South Korean, and killed over there. Both he and his sister are put in labor camps, until his father’s boss Moon Sang Chul (Jo Sung Ha) pulls him out and sends him to special training. Two years later Myung Hoon, now Kang Dae Ho, a North Korean defector, is adopted by a South Korean couple who in matter of the fact are North Korean spies. While joining school he meets a bullied girl Hye In (Han Ye Ri) who has the same name as his sister, whom he befriends. Uhm, okay? I am confused. Or not? To be honest I was kind of expectant, maybe too much, but this was just another spy movie with a somewhat understandable plot, and too much action. Okay, with too much I mean more “pow pow” less “blah blah”. This makes Korean movies seem lacking and uninteresting. TOP does a great job, and the cast is good at making him fit (even though he looks amazing and like an idol), and it somehow becomes a decent movie. 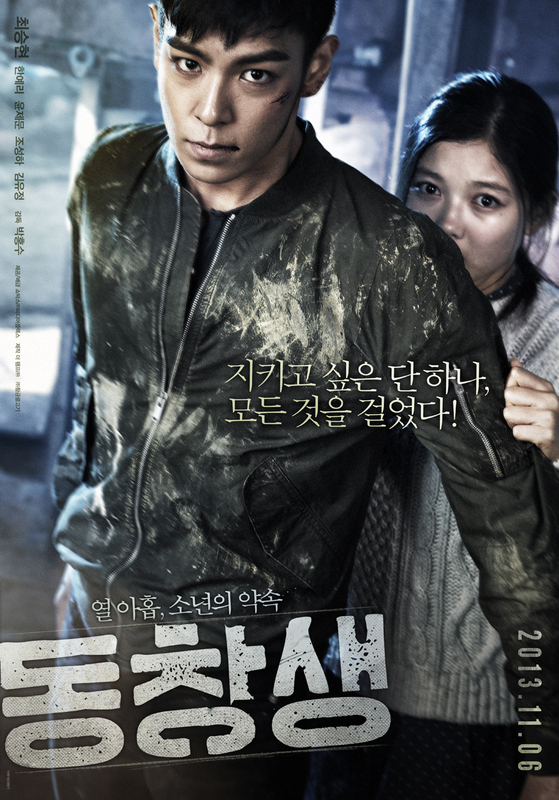 So, what I don’t get is why the hottie from Big Bang, TOP, decides to accept this role as the North Korean agent. It seems like North Korean agents penetrate the Republic of Korea as casually as they might walk down to the local pub, and South Korean agents are horrendously slow to catch on or arrive on the scene. Nevertheless, the action and stunts are expertly handled, those scenes I was very contempt with. I just think I’ve got enough of those spy/agents movies, so I really just watched this because of TOP, and just to ross it over my list. I don’t really recommend it, but go for it if you have time.